If 2 team have the same amount of points after the last game, the standings will be decided by the positions after the regular season. For example: Leuven and Tubize both end the play-downs in last place with the same amount of points. Because we ended the regular seaon in 7th place and Tubize were 8th, Tubize will drop to the Amateur division. But if Leuven and Roeselare would end in last place, it would be us that drop down because Roeselare ended the regular season in 5th. Yes, that's correct. If 2 team would end up with the same amount of points, the standings of the regular season will decide the outcome. For example, we and Roeselare both have 19 points, but because Roeselare ended in 5th and we ended in 7th, they are above us. Trossard played a season for us on loan. Best player I ever saw in a OH Leuven shirt! He has a lot of potential, but I don't think he's ready for the PL yet. Needs a year or 2 in Gent. Results and standings after the 3th round 1. Lommel 20 pts 2. Roeselare 19 pts 3. 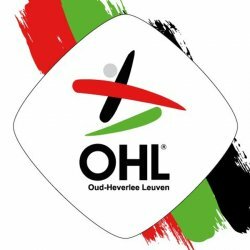 OH Leuven 19pts 4. Tubize 17 pts We play Roeselare at home on Sunday. Season-ending knee injury for Kapustka. He already left Leuven and returned to Leicester City where he will work on his recovery Get well soon, Bartosz! 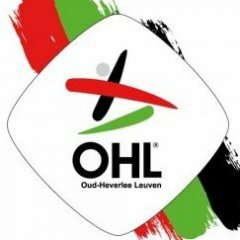 Results and standings after the second round: OH Leuven - Tubize 0-1 Roeselare - Lommel 0-1 1. Lommel 19 pts 2. OH Leuven 18 pts 3. Roeselare 18 pts 4. Tubize 16 pts We play Roeselare away coming Sunday. There haven't been any rumors of new players yet, because the new managers focus on this season only. They only have contracts until the end of this season and refuse to talk about staying until we're sure we won't drop down. If they stay, their first concern will be to reduce the number of players in our squad. We now have 30 players, which is way too much for the Belgian second division. Second, they need to improve the quality of the squad. We need players that can make a difference. Players that can put the team on their shoulders. The 'George Hirst situation' has been really disappointing. Nobody got any better from that deal, not Leuven, not George, not Leicester. It was very naive to think a kid, who didn't play any first team football in his life, would be a star player for us. This also has been bad judgement/management by Pearson. On thing is for sure, Vercauteren won't accept things like this. The players that will be here next season will be here because Vercauteren wants them to. He won't accept guys from the Leicester development squad that aren't good enough to really make a differnce here. Like I said, it's going to be an interesting and busy summer! I said I wouldn't renew a single contract of the guys that are out of contract next season. So Dequevy, Persoons, Hubert, Kostovski, Aguemon, Diedhiou are out. I wouldn't even bring back any of the guys that are here on loan. Maybe Elliot Moore, who has been doing better since he plays alongside Kotysch. Maertens, Tshimanga, Kotysch, Libert still have a contract next season, which is a good thing. Maertens has been our best player since he's been here. Of course I would give him a new contract that would keep him here a few more years. I agree that this team has completely been mismanaged by Pearson and that we shouldn't have been fighting off relegation. There has been a huge improvement since Euvrard and Vercauteren took over, so I'm not worried that we will drop to the amateur division. But yes, we lost against Tubize because we lack the necessary quality. We lost Maertens at halftime due to illness, which is a big loss. The fact that nobody can take over his role is a lack of quality in my opinion. The fact that our wingers couldn't get past their defenders and cross the ball, is a lack of quality. The fact that we can't impose our will against a team that parks the bus, is a lack of quality. Like I said, the club has a lot of work to do this summer. First of all, they need to make sure that Euvrard and Vercauteren stay for next season (and hopefully a couple of seasons). With the expiring contract we can get rid of low quality players that are on big contracts. If we can replace them with good players we can really start dreaming of playing for promotion. Just a lack of quality on the pitch, simple as that. Luckily a lot of our players are out of contract next season. To be honest, I wouldn't renew a single one! If we want to avoid another horror season like this one, we have a lot of work to do this summer!